The Scottish Borders offers some of the best on and off road cycling in Scotland, from easy rides along river valleys, to more challenging sprints over remote hills with spectacular views from the top. There is something for everyone. There are plenty of smaller circuits and detours taking in historic abbey towns and picturesque villages, with a wealth of teashops, pubs and visitor attractions for refreshments and added interest along the way – whether it’s a family day out or a competitive trail with a bunch of friends. 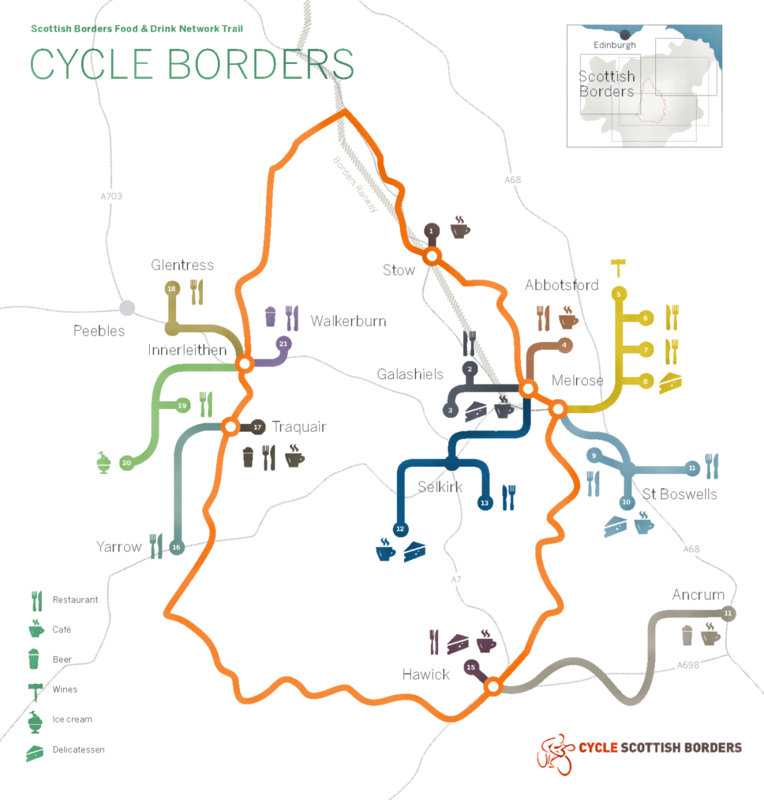 To plan your trip, we recommend visiting cycle scottish borders a great website giving details of a whole range of route options, including the classic Borders Abbey Way. There is also information about accommodation and bike friendly establishments. As a taster, we suggest this 79 mile circuit known as Borderloop 4. It has variety, possibilities for side visits or can be simply tackled in shorter loops. You can start anywhere, but the Borders Railway stops at Stow, Galashiels and Tweedbank are all good points to jump off the train and onto your bike.